Understanding your financial statements is key to managing the numbers in your business. In fact, it’s mandatory. One of the main things you need to understand is the difference between your cash basis financial statements and your accrual basis financial statements. You also need to understand what makes them different in your QuickBooks Online file. See while the two different bases have set differentiating factors, there are a few more when it come to QuickBooks Online and how it deciphers between the two. 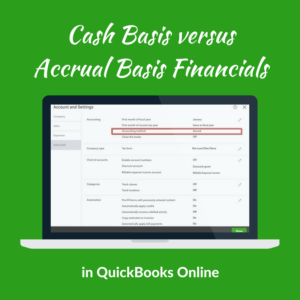 First things first – what does cash basis and accrual basis mean? Cash Basis is when you record your income and expenses as payments are received and expenses are paid. In simple terms, you record the transactions when the money moves. Only those transactions count towards your net profit or loss. Running reports on cash basis gives you perspective and insight into your cash flow. Accrual basis is when you record your income and expenses as payments are earned and expenses are incurred. In simple terms, you record the transactions whether the money moved or not. You record them when the promise of payment is made, whether by you or your customer. These transactions will create an Accounts Receivable or Accounts Payable on the books. Running reports on the accrual basis gives you perspective and insight into the financial health of your business and how it is performing overall. Allow me to explain using a couple of real-life sales transactions as examples. Example 1 – You sell computers. A customer comes to your store to purchase a computer for $1,000. They pay you at the same time as they take the computer. This is a cash basis transaction. 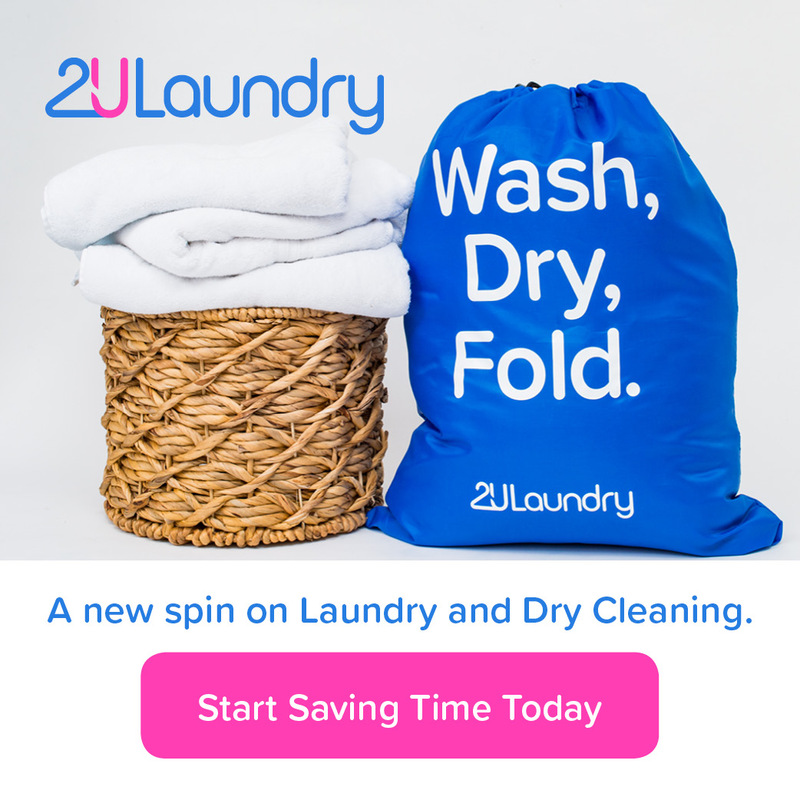 Even if they pay you with a credit card, it is a cash basis transaction because the credit card company will place the fund in your account within 2 days. Therefore payment was made. Now if the customer pays you in the subsequent month, you won’t recognize the sale until that month. Example 2 – You sell consulting services to fix computers. You visit a customer’s office to fix their computer. Once you are done, you leave the customer’s office. When you return to your office you generate an invoice and send it to them for $1,000. This is an accrual basis transaction. The customer now owes you money for your services and you now have an accounts receivable balance on your books. Now if you are in the business of transacting long-term contracts, transactions that will take longer than 12 months or cross fiscal years, then these rules get a little more sticky. And that’s a whole other post. 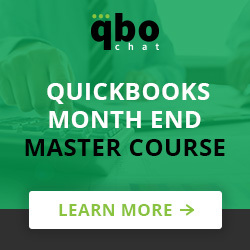 So what does this mean in your QuickBooks Online file? In QuickBooks online, it is very easy to switch between cash and accrual basis in the reports. At the top of the report, where the report options are listed, you will see Accounting Method. When you switch from accrual to cash, QuickBooks reverses out all of the receivable and payable transactions because cash did not change hands. Once you make the switch the financial statements will more than likely change completely. And this is because some transactions are handled differently under each accounting basis. In simple terms, if you take your accrual net income and remove the current year receivables and payables and add back the prior year receivables and payables, you should get your cash basis net income. But all transactions are not converted equally under each basis. Understanding these differences and how they affect your financials will help you understand the financial picture you are looking at. Let’s go back to our previous example #2 above, when we created the invoice for $1,000. This invoice will appear on your accrual basis Profit and Loss under sales but it will not appear on your cash basis Profit and Loss. Therefore, when you look at the cash basis Profit and Loss, it will not show you how many sales you really transacted during that period and your statement will be understated. Only the accrual Profit and Loss will show you the true sales number. Now let’s say this customer pays you $500 of the balance. When you look at your accrual basis Profit and Loss under sales you will still see the $1,000 sale, but now when you look at your cash basis Profit and Loss you will see the $500 under sales. You only see the $500 because you actually received the cash. However, when you are looking at this financial statement, your sales are again understated. This time by the $500 balance that remains. This is an important distinction to understand when you are looking at how much sales your business generated for the period. The effect of these two scenarios can also occur in the expenses and accounts payable transactions. If you record a bill for $100 in supplies, that bill will appear in your accrual basis profit and loss but not your cash basis profit and loss. This will result in understated cash basis financials. Once you make a $50 payment on that bill, the $50 payment will appear on your cash basis Profit and Loss but that statement will still be understated by the $50 balance still due. When running your financial reports, be certain you understand the type of data each report you are running will generate and the accounting method. I believe the accrual method is always best because it tells you the financial health of your business. But if you are inclined to run a cash basis statement, just be certain you understand what you are looking at and the story that it tells. Sherrell T Martin is an award-winning financial management and business consultant and the Founder and CEO Nitram Financial Solutions. She supports business owners with managing the financial health so that they can prevent money leaks while simultaneously increasing cash flow and maximizing profits. Visit www.NitramFinancial.com for more information.